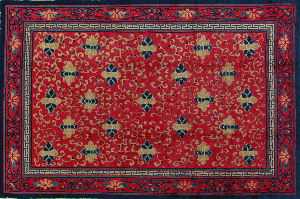 The capital city of Peking (Beijing) has been a carpet weaving city on-and-off over the last 400 years. 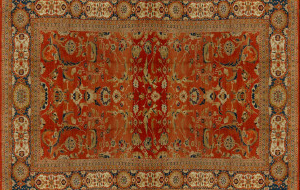 In the 16th century the Ming emperors patronized a small output of extraordinary, often very large, carpets for household use. These often feature imperial dragons or overall tile patterns. 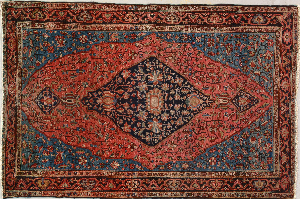 Not just rectangular, these carpets were often trapezoidal or “U” shaped to fit throne platforms. The succeeding Ching dynasty, however, had no need for additional rugs and the palace shop closed. 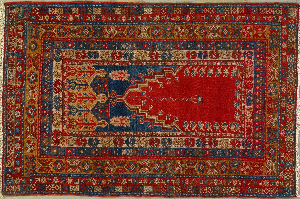 Rug weaving was revived in the 19th century on a commercial basis, generally for export. Blue-and-white color schemes adapted from porcelains predominate and the whole Chinese decorative vocabulary is employed: textile designs, “Shou” (good luck) medallions, seasonal plants, lotus and peony palmettes, dragons and lion dogs, among other motives. 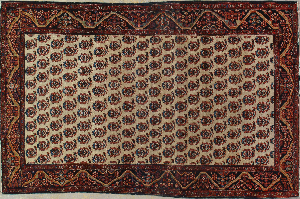 The carpets become progressively thicker and heavier as the 19th century progresses. 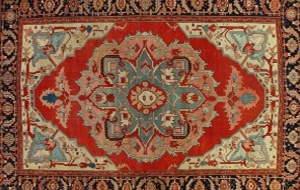 They are always Persian knotted on cotton foundations in sizes from 3’x5’ up to over 15’x25’. Medallions tend to be small and often appear on open (or nearly so) grounds. 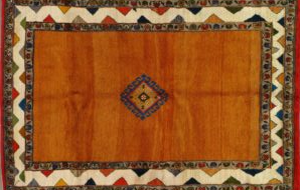 Fretwork appears in the corners of the field or in the borders. 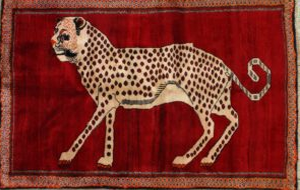 Peking carpets of the c.1900 period have never been surpassed as the proper accompaniments for far eastern furnishing schemes.